Andrea's Innovative Interiors - Andrea's Blog - Sad & Naked... do you find yourself in this situation every year? Sad & Naked... do you find yourself in this situation every year? Yes - I'm talking about your home of course. The 'post holiday blues" are real, and it doesn't help that all the cheer gets packed up until next year and leaves you with an empty house. Sad. As in "there was a huge beautiful decorated tree in front of that window that brought lots of anticipation and presents." Naked. As in "Hey I'm a new sofa. It's cold in here - where is everyone? Did I miss the party?" But don't despair - this can all be remedied very quickly and easily! As the first photo shows, the post holiday blues present an opportunity to try new things with your space. Rearrange furniture, try new accessories, or call in a pro if you're stuck. The second photo is such a clean slate you can accessorize in many ways! Try adding pairs. 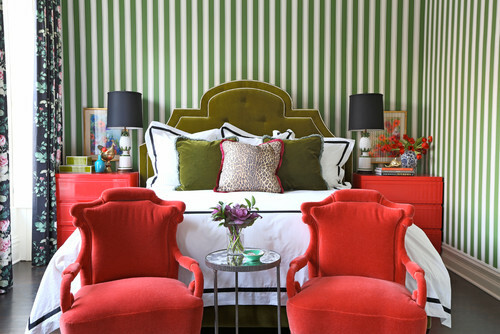 Pairs create symmetry, which makes us feel balanced in a room. And who doesn't need to feel more balanced after the holidays? Maybe it's a pair of chairs, pair of artwork, or lamps. Or maybe all three! You'll be surprised the effect it has, even in an eclectic room! Ready to get started on your home project? It's go time!